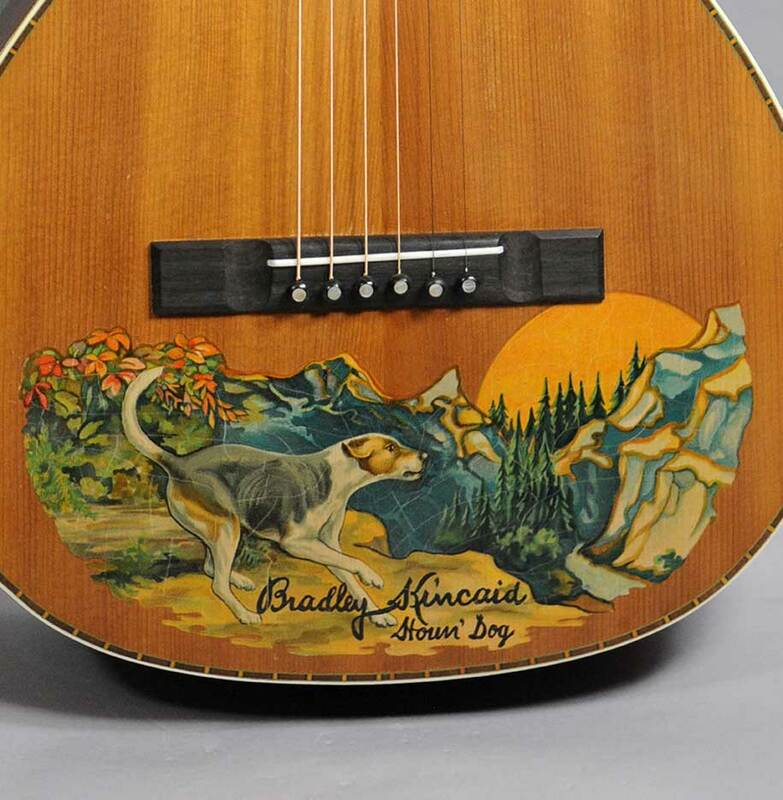 Made by Harmony for Sears, solid spruce top with a decorative decal of a hound and the moon on front…. Made by Harmony for Sears. 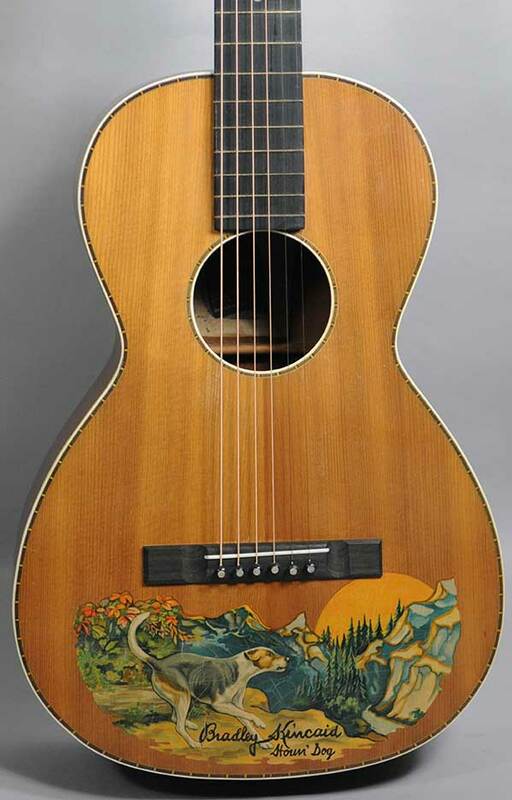 Solid spruce top with a decorative decal of a hound and the moon on front. 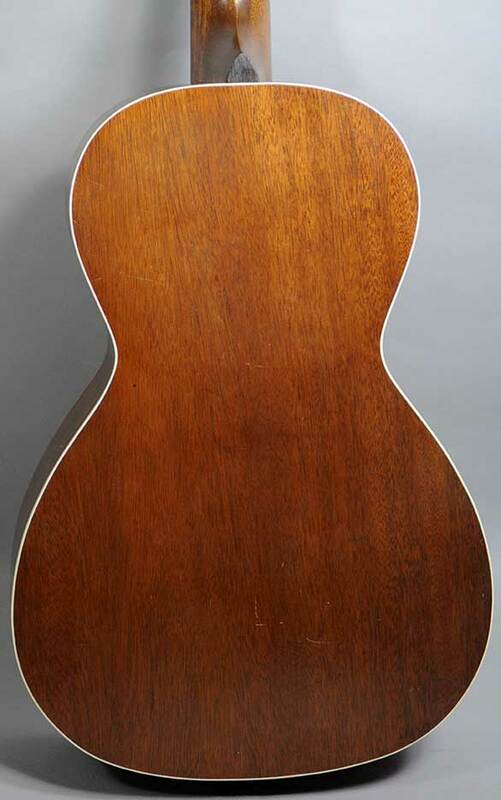 Solid mahogany back and sides, 24″scale, 12-3/4″ lower bout.